The first time I kissed Scarlet, I knew I was in trouble. The night I slept with her, my life changed forever. The day I found out I was going to be a father, I ran from her. Now that I’ve been given a second chance I won’t be so reckless. I was beyond excited for Trevor and Scarlet’s romance. Honestly the build since the beginning on Trevor’s high school love runaway, then Scarlet randomly showing up at the house, it was like BAM, this is going to be good. Cue the angst I was hoping. Unfortunately this was where it really disappointed me. Majority of the book is constant retelling of the actual family and their romances. It was almost as if Trevor and Scarlet took a back seat to everyone, their own story and they were the secondary characters. On top of this, when there was a romance it was rushed. And I don’t mean just insta-love rushed, I mean, one minute there is one plot happening then there is a twist then another. It was server plot holes with their actual relationship that it sent my mind in a tizzy. This unfortunately made it rather difficult to get a feel for either of the main characters. Both characters annoyed me, both had a level of immaturity and stupidity that I just could not for the life of me, wrap my mind around. Their personalities at some points seemed fun, they had a type of chemistry but again I couldn’t get a read on it long enough to enjoy their romance. Overall, I loved the series, I did, however Reckless Love let me a little less than satisfied. Especially considering the build up towards Trevor and Scarlet. I don’t know, I was expecting something more, something else perhaps than what it was. 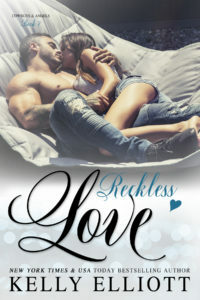 I know, that sounds rather strange, but unfortunately for me, Reckless Love was more about the retelling of the other siblings, there was random dialogue, and just lack luster on the romance. Simply not enough and yet drastically rushed. 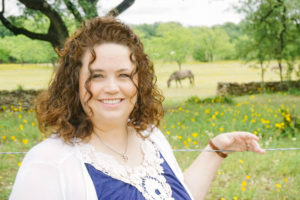 I have become a huge Kelly Elliott fan, I plan on continuing my obsession, and I did enjoy her Cowboys & Angels series immensely. I would definitely still recommend the series, if you want light, with some feel good flutter love romance, this is definitely right up your alley.